“What we have done is find a new function of a protein that helps control cell behavior from a mechanics perspective,” said LeDuc, an associate professor of mechanical engineering with courtesy appointments in the Biomedical Engineering, Biological Sciences and Computational Biology departments. “For over 15 years, researchers have been mainly focusing on a protein called Integrin to study these cell functions, but our team found that another lesser known protein called Syndecan-4 is extremely important in cell behavior in a field called MechanoBiology (a field linking mechanics and biology). 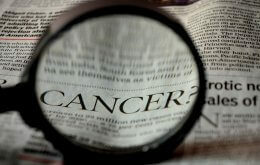 Syndecan-4 is known to play an essential role in a variety of diseases like cancer,” LeDuc said. LeDuc’s new findings appear in the Dec. 29 edition of the prestigious journal Proceedings of the National Academy of Sciences along with complementary work that is appearing in another highly respected journal, Nature Protocols. Essentially what his research does is take a look at how a protein’s shape and form determines how it functions in the human body from a mechanics perspective. Proteins are composed of long chains of amino acids than can form bonds with other molecules in a chain, kinking, twisting and folding into complicated, three-dimensional shapes, such as helices or densely furrowed globular structures. “These folded shapes are immensely important because they can define a protein’s function in the cell,” said LeDuc, who is also developing novel biologically inspired diagnostic approaches and materials as well as computational methods to understand molecular behavior. LeDuc said his research finds that some protein shapes fit perfectly into cell receptors, turning chemical processes on and off, like a key in a lock. With mechanics changing the shape of proteins, LeDuc says the key might no longer fit into the lock, and serious consequences in the body can occur when proteins fail to assume their preordained shapes or fail to connect properly. Pictured above is Philip R. LeDuc, associate professor of mechanical engineering.